Last month, I traveled to the Rheingau and Rhinehessen, and learned about the shift in Germany toward terroir-driven winemaking, particularly with dry Riesling, as well as the organic and biodynamic movement there. Back in New York, I’ve been spreading the Riesling gospel. But of course, I would have been remiss if I limited it only to what’s going on in the Old World. The Finger Lakes is producing wonderful Riesling, and I wanted to not only mention that region in general, but highlight the strides taken by innovative winemakers like Kris Matthewson, of Bellwether Wine Cellars, toward natural winemaking – which is not really a trend, in that area. For other natural Finger Lakes wines, look for Bloomer Creek and Eminence Road. Check out my article on the new generation making German Riesling for Vine Pair here . . .
my more domestic-focused Riesling piece for Eater, here. And . . . go drink some Riesling. Although I realize that the 4th of July is supposed to be celebratory and leisurely, I think this year in particular calls for some reflection on what America is and how it became this way. I am not naive enough that America’s legacies of inequality and injustice are news to me, but it does seem that this state has become gravely exaggerated over the last year or so. 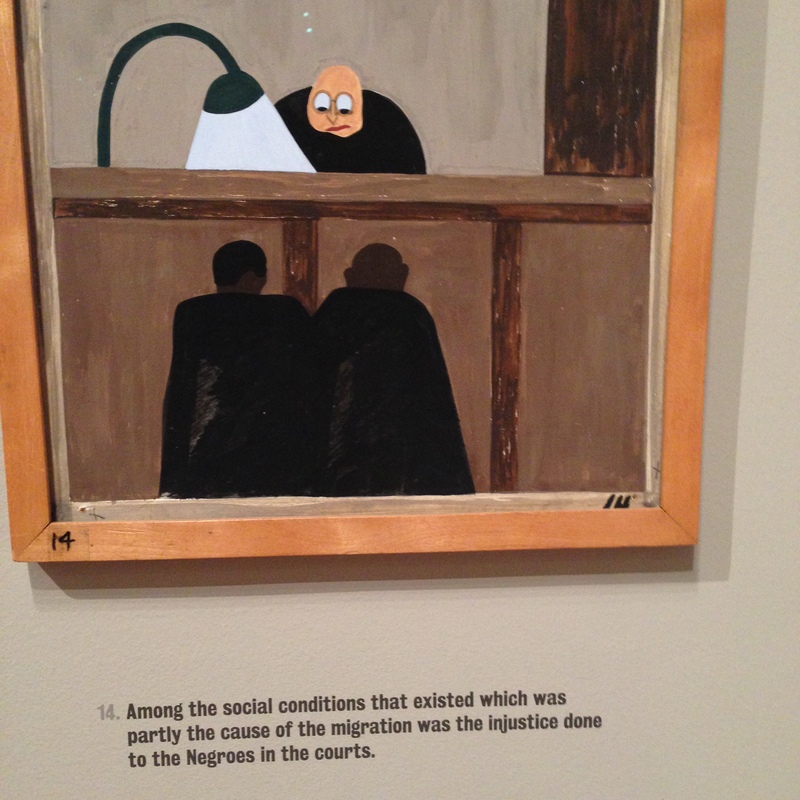 On Friday, I visited the MoMa and walked through the incredible “Migration Series” paintings that Harlem-based artist Jacob Lawrence made in 1941. With his astonishing technique that is at once childish and basic yet unique and awe-inspiring, Lawrence tells the story of the migration of Southern blacks to America’s northern cities, starting around 1910. Normally, the series is split between the MoMa and the Phillips Collection in DC, and it’s incredible to see them altogether. I also ready an article by Rachel Aviv, certainly one of the most important journalists working today, about a case where a black man was sentenced to death for killing his baby, in a black township of Louisiana. It’s currently not behind a paywall (“Revenge Killing,” in the current issue of the New Yorker) and I urge you to read this nuanced account of a story that seems to me representative of many broader, structural problems in America today. A legacy cannot be wiped away quickly, and so much work has been done to change our society already, but at the very least we can use this holiday to reflect just a little bit on who we are, and what there is to lament as well as celebrate.